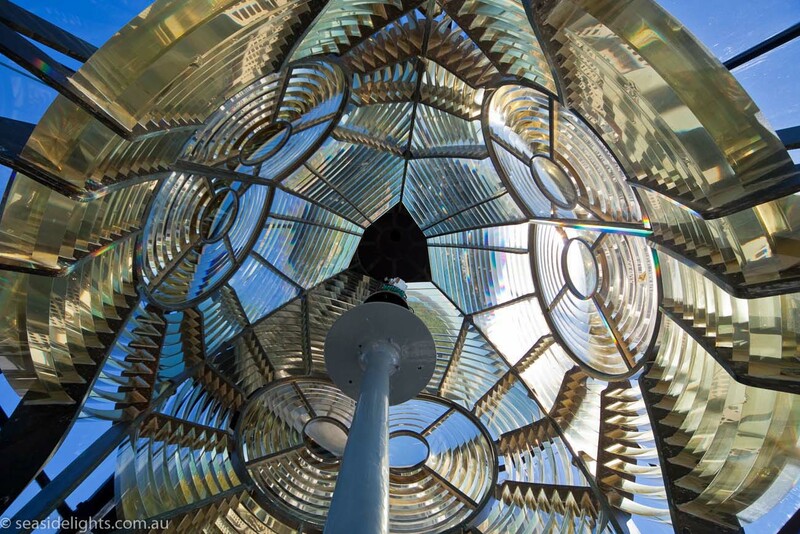 Eddystone Point Lighthouse | Lighthouses of Australia Inc. 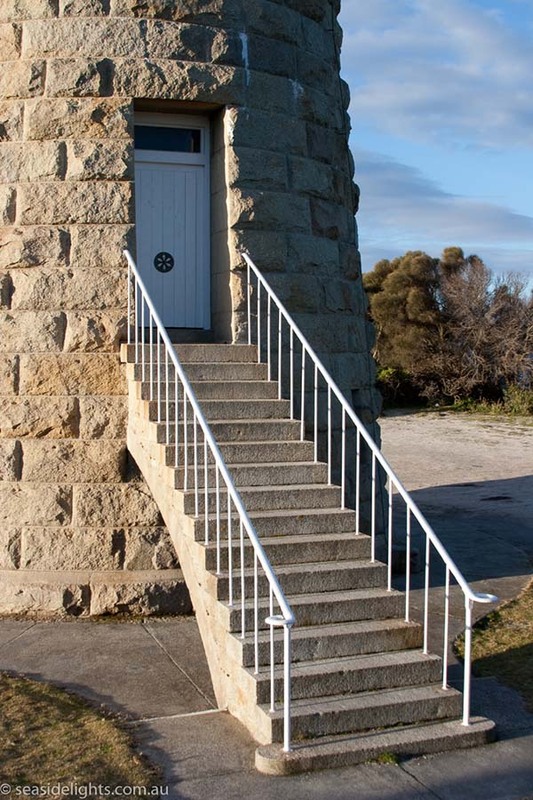 This striking pink granite tower is on a point that juts out into the sea. Being surrounded on all sides by sea, it is subject to its ferocity and whims. 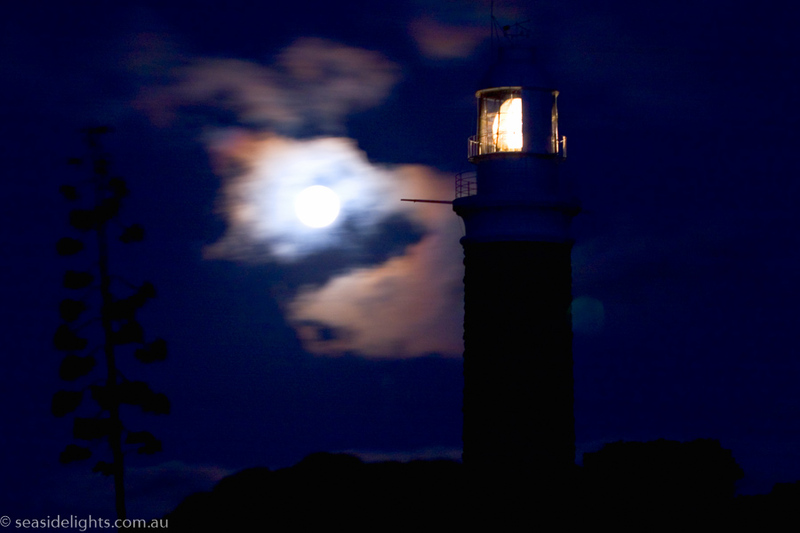 Even though the main lights of Cape Otway, Cape Wickham and Deal Island were established in the notorious Bass Strait, north bound ships were still being wrecked by coming in too close to the northeast coast of Tasmania. 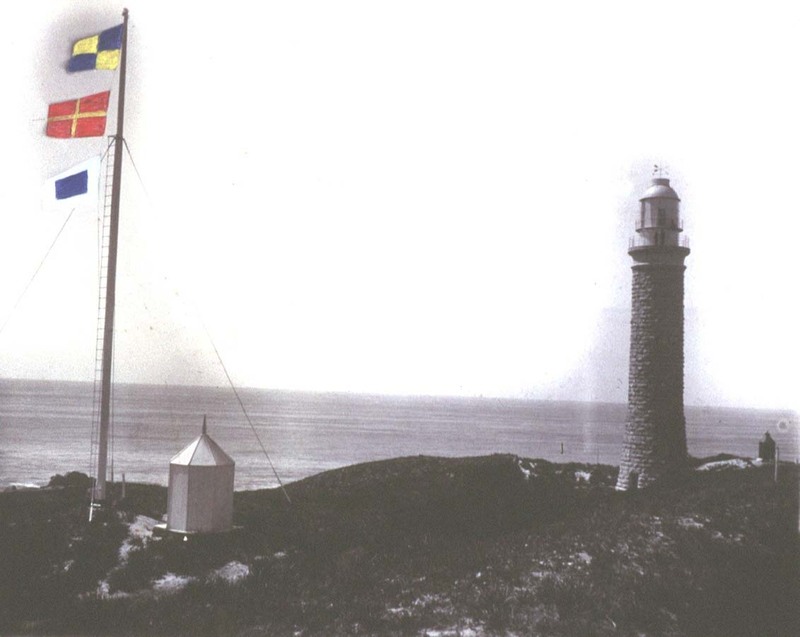 The chief hazards were Victoria Rocks, Georges Rocks and Black Reef. Even Captain Riddle, who was experienced in navigating the coast and played a role in the establishment of some lights, was wrecked on Black Reef. 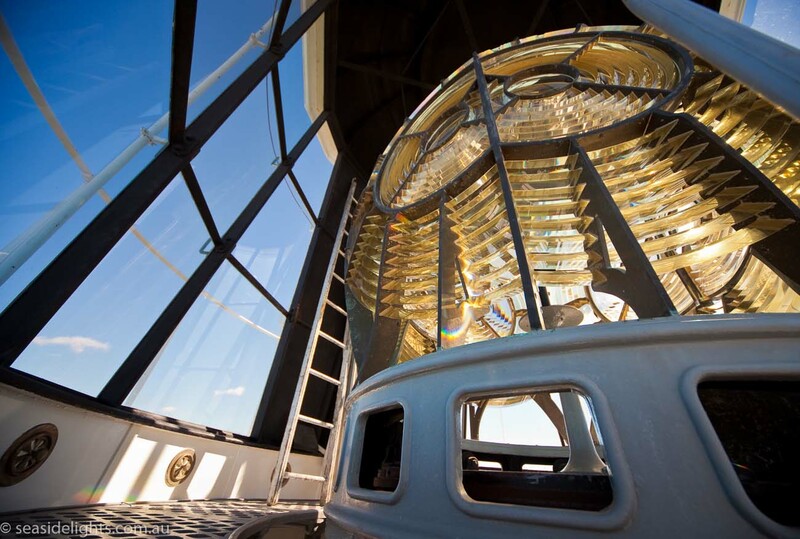 When, in 1875, a hazardous rock was discovered just below the water line off St Helens Point it was decided to erect a lighthouse. 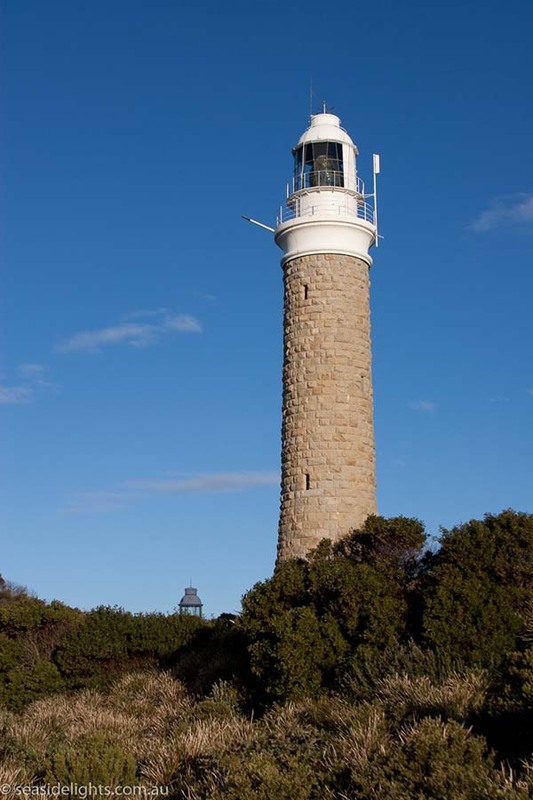 The choice was between Eddystone Point and Georges Rocks. Even though a light on Georges Rocks would be better to mark that location, Eddystone Point would be easier to access and build, would cover the whole area better and was thus selected. 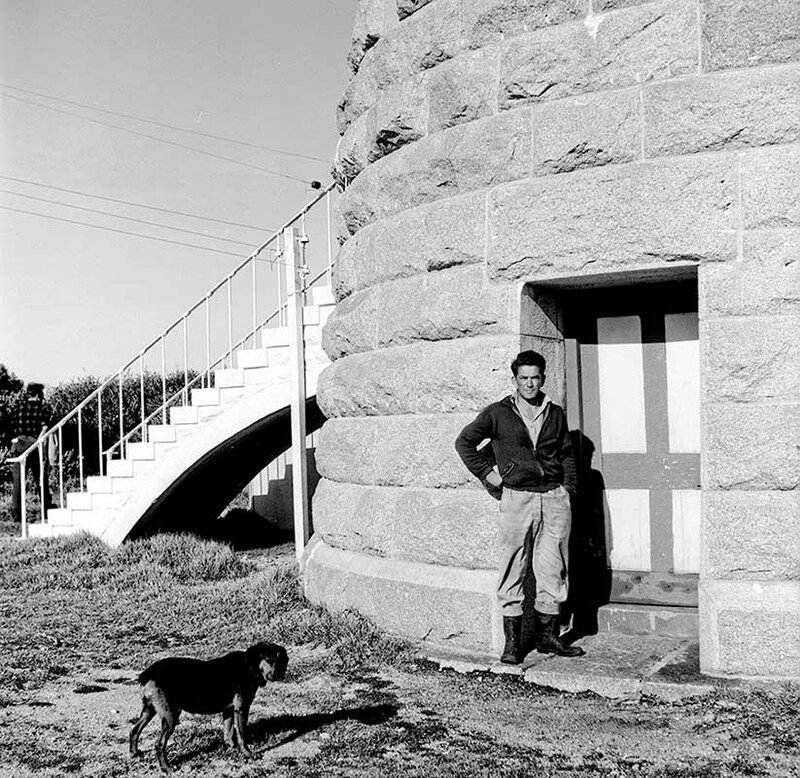 The local granite was tested and found suitable for the construction a tower. By 1879 plans had been prepared and agreement was reached between the colonies over the sharing of costs. Still nothing further was done for another 10 years, even though the wrecks continued. The light was serviced by sea and over the years the landing areas took a battering with jetties having to be rebuilt several times. Land access was difficult due to the terrain and sand drifts. Even today the road to Gladstone is unsealed and fair to middling. Ansons Bay, slightly to the south could be reached if it was possible to cross the Anson River. By the 1930’s day-to-day stores were being obtained by car in Gladstone. Further, in 1928 saw the inauguration of a direct service from Gladstone to Eddystone by mail-car. Heavy storms in the early 1920’s upturned the flaghouse, damaged the tramway, the jetties and the boats, and flooded the tower. Wireless communication was installed in 1935. 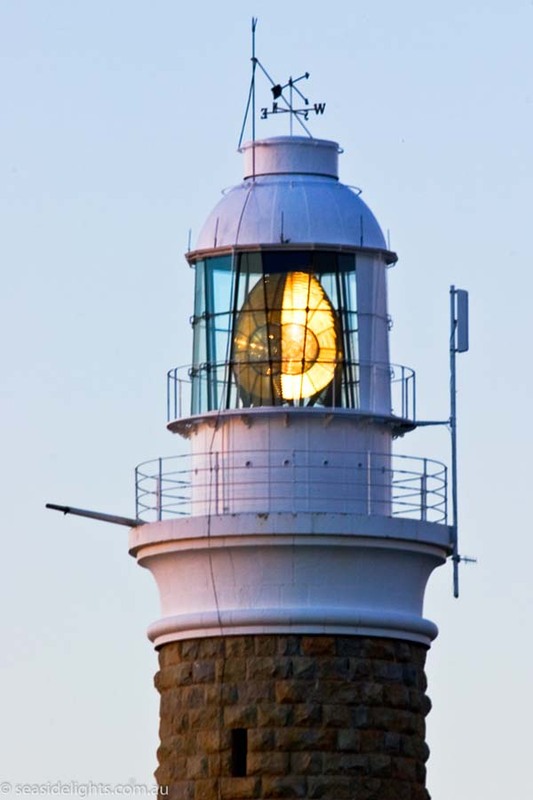 The auxiliary light, which used to light Victoria Rocks, was taken out of commission at the time of electrification. 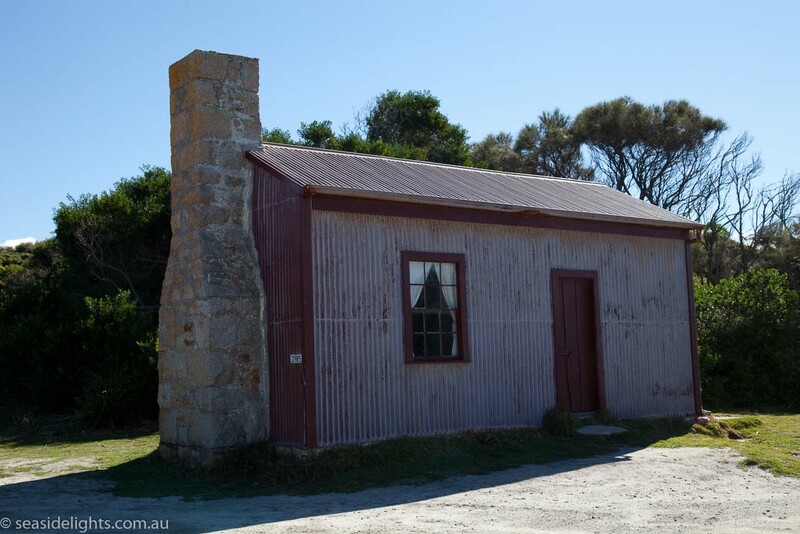 Bathrooms were installed in the keepers’ cottages after the Second World War which meant that “families no longer had to bathe in zinc tubs in front of the kitchen fire”. The tower celebrated its centenary in 1989. Of a later occasion, Bertram Jackson (the younger), son of headkeeper Robert Jackson, the tells of how his mother was “quite in a way” because he was six and he had not been christened. Many other lighthouse mothers’ worries for their children were relieved by the Bishop’s baptisms of their children on this tour. George Isaacs, grandson of Herbert Isaacs who was headkeeper in the late 1920’s and during the 1930’s tells of his early childhood with his grandfather at Eddystone Point. 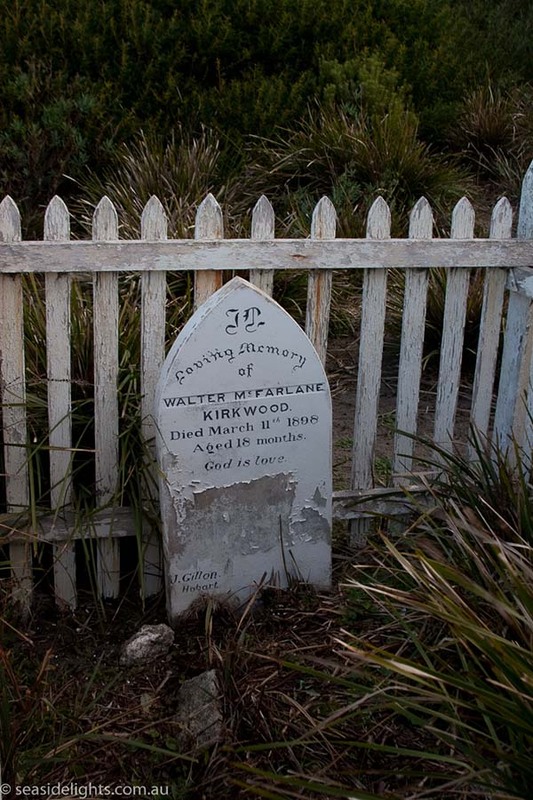 “Uncle Alan died of a tiger snake bite whilst rabbiting. They managed to get him to Scottsdale by car. Even though serums were available they still didn’t have the understanding on how to use them and after a few days he died. The people of Gladstone, Derby and Scottsdale were so helpful which was appreciated by all”. 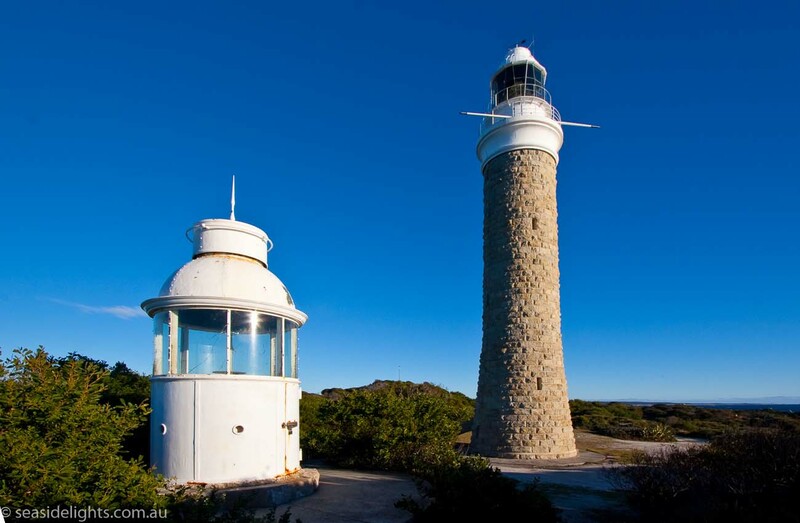 The lighthouse is in the Mount William National Park. It can be reached by unsealed roads of a fair condition from St Helens or Gladstone (32 kilometres). Extreme care should be taken to avoid wildlife on these roads. 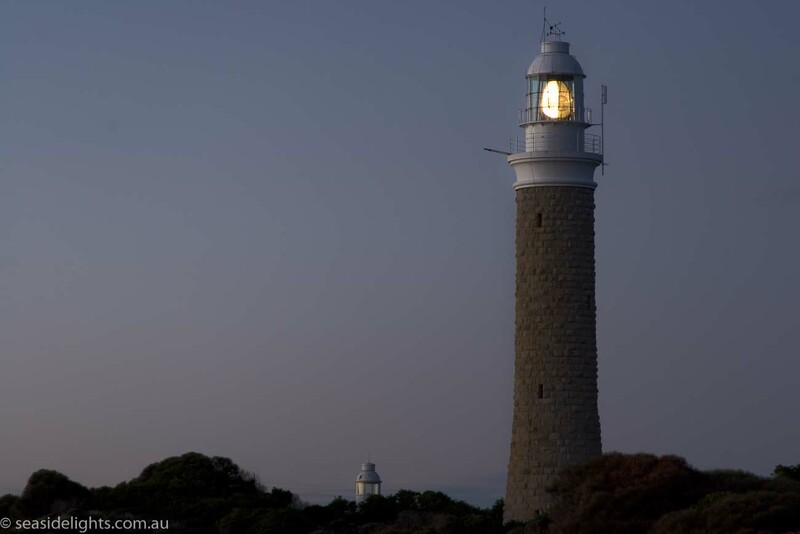 The lighthouse grounds are open all year round. No tours are available. 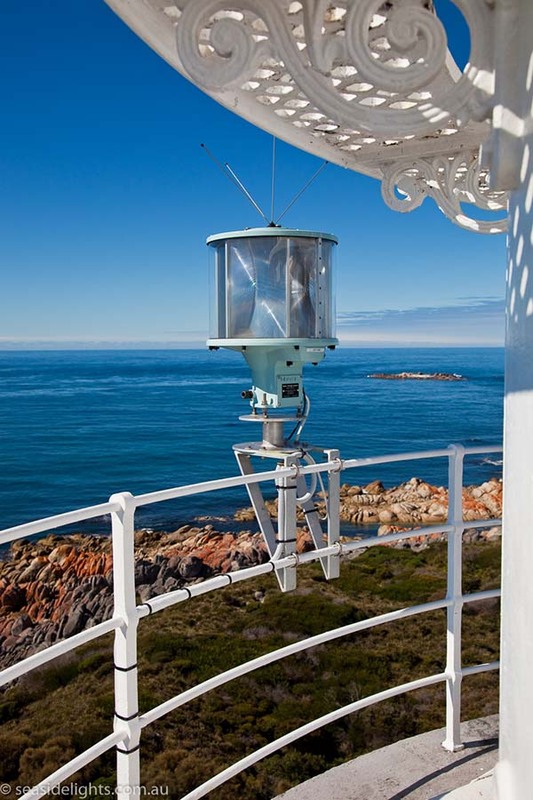 The Tasmanian Conservation Trust and the Tasmanian Branch of National Trust have expressed concerns about demanning and lack of occupation of the site. 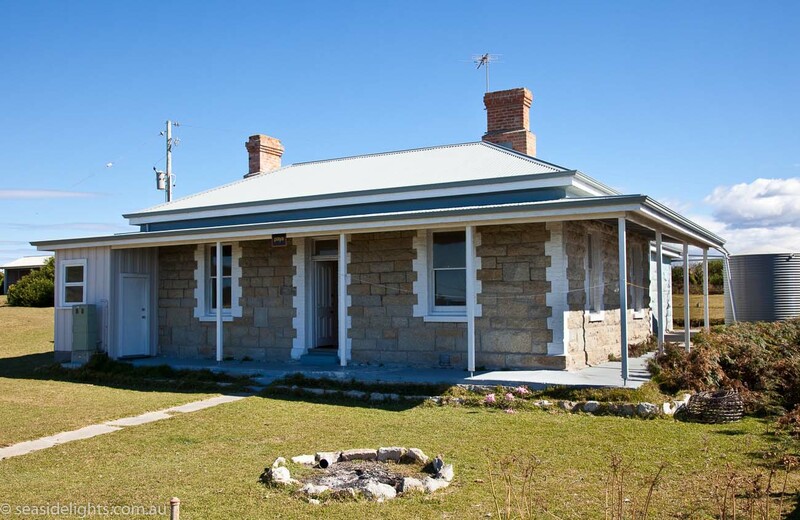 Further, the reserve has since been transferred to the Tasmanian National Parks & Wildlife Service and the cottages are now vacant.